The Originals is a CW American TV series. 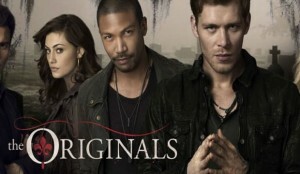 It is a spin off series of the Vampire Diaries and started to air from October, 2013. The story revolves around Klaus Michaelson, a vampire and his family who get involved in supernatural political affairs of New Orleans. It is an intriguing story of a power-hungry blood drinking centuries-old vampires who want to take the possession of the city that they built and overthrow the ones who wronged them. The series has been created by Julie Plec and the stars of the series are Claire Holt, Daniel Gillies, Joseph Morgan, Charles Michael Davies, Leah Pipes, phoebe Tonkin and Daniella Pineada. The newest season of the series will air on CW coming fall. The casting team is looking for pedestrians, cooks and bar waiters and waitress for a scene on the sound stages. Read on for casting specific information! Male and Female actors of all ethnicities lying in the age range of 22 till 45 years. They should be attractive and should have a prior experience. Repeats might get hired but new faces are encouraged. Mention a brief description of the experience you have in this area. Male and Females aged between 30 and 55 years from any ethnicity to work as a cook. A bar kitchen experience is required. Repeats for this category might get hired but new people are encouraged to apply. The submission email should include a brief description of the past experiences as a cook. Male and Female actors of aged between 18 and 60 years to play the role of pedestrians external to the bar. The applicants must be really cool NOLA type. Please send the email at ORIGINALSEXTRAS@TSCasting.com. The subject line should be captioned as “Monday Bar”.